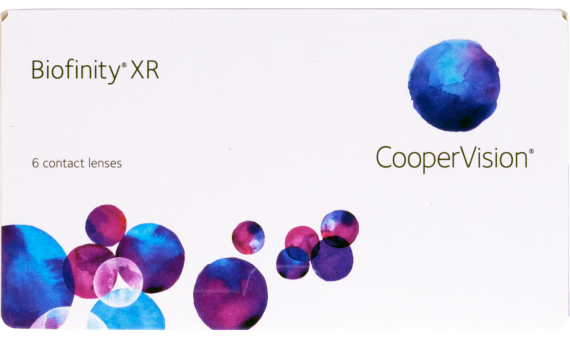 Biofinity® XR contact lenses are an excellent monthly lenses for people suffering from sever nearsighted or farsighted vision, especially for those who have found it difficult to wear contact lenses in the past. The Aquaform Technology allows your eyes to get more oxygen than a traditional soft lens. The additional oxygen allows your eyes to remaining comfortable all-day, with less irritation. 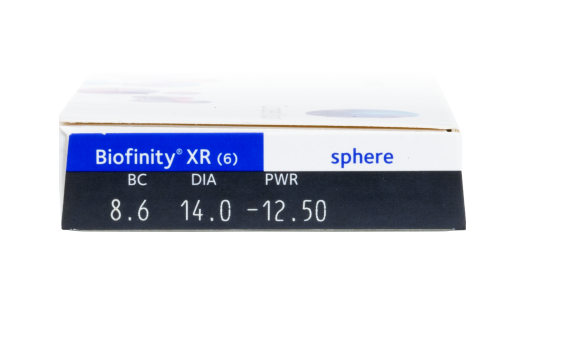 Biofity XR enjoys the same benefits as the sphere models with the rounded edges to reduce friction between the lens and the eyelid. This great silicone hydrogel lens makes for a superior comfort fit with excelent performance.